Before building prototypes of the Knoll Generation chair, designers spent hundreds of hours watching video of office workers. What they learned: Nobody sits still. Even the most slothful desk jockeys lean, twist, and turn. 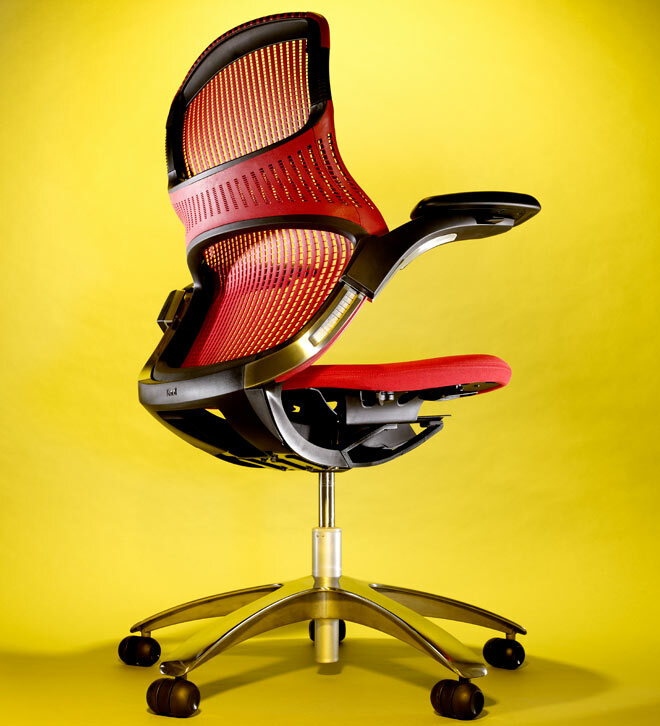 Where ordinary office chairs have rigid frames that limit movement, the Generation boasts an elastomer backrest that’s more flexible than a sideshow contortionist. Bend, twist, stretch out for a nap — you’ll feel almost weightless. Even better, the slick, nearly tip-proof base could give the clumsiest oaf a Shaolin level of stability, so you can recline without fear of cracking your head open. WIRED Dense foam cushion is a real tuckus pleaser. Cantilevered arms allow you to sit sidesaddle. TIRED Expensive. Very tough to disassemble. Limited adjustment range rules it out for people over 6?3?.